A regular series to inspire and encourage us in our prayers for our neighbours, and for FEBC listeners around the world. The apostle Paul wrote these encouraging words to believers who were surrounded by very different ideologies, and where Christian teaching was being strongly challenged. 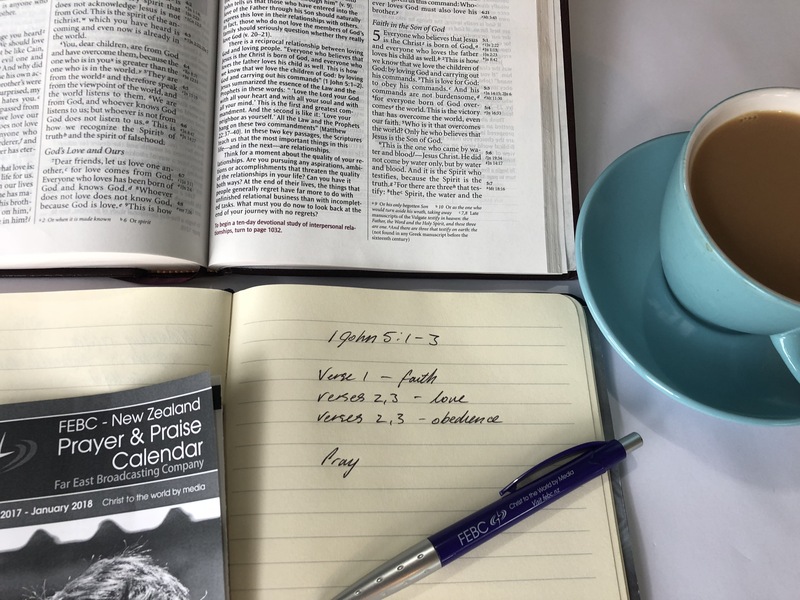 This text helps us to pray for people of other faiths because it gives us specific things to pray for as we converse, and as they listen to our radio programmes and hear the life-giving words of God. Praying for faith, love and obedience in action. Pray that when people really listen to godly truth, they believe what they hear (vv 1,5). May they receive it as far more than good advice. Pray they not only believe that Jesus is real, or that God exists, or that God is good. Pray the Holy Spirit reveals that Jesus is the Christ. In other words – for faith that God came among us in the flesh. He lived, suffered and died, and was resurrected, and ascended to heaven. God the Holy Spirit grants such faith! Pray that when people hear the Good News and believe, they are filled with love for God, and for His people (vv 2,3). Romans 5:5 says this is the work of the Holy Spirit – that “..God pours out His love into our hearts by the Holy Spirit..” True godly love is so needed in the world today. No other religion promises the kind of love our God promises, and has proven in Jesus Christ. Pray that when people hear, believe, and love God, they are empowered by the Holy Spirit to obey His Word. Pray for people to experience supernatural ability to love, forgive and repent, to have compassion and to genuinely follow Jesus. Many other religions have exhausting and burdensome rules for living, but our loving heavenly Father gives faith, and love, and the Holy Spirit who empowers His people to live a genuinely righteous life. Not by striving to be good, but by resting in the love of God.